Your 20s and 30s are about exploration, and that sense of adventure extends to your skin. While your skin may not show it now, in a few years those late night martinis and sunny pool-side vacations are bound to make an appearance in the form of dehydrated skin, fine lines, wrinkles, and a less-full appearance. This is why your 20s and 30s are the ideal time to start to explore your skin care options and to discover ingredients that will help maintain or hydrate and restore your fresh-faced, youthful complexion. One such ingredient? The much-buzzed-about hyaluronic acid. But, don't let the word "acid" scare you - rather, picture plumped, hydrated, smooth skin. Read on to discover reasons why you should be using hyaluronic acid in your skin care routine. 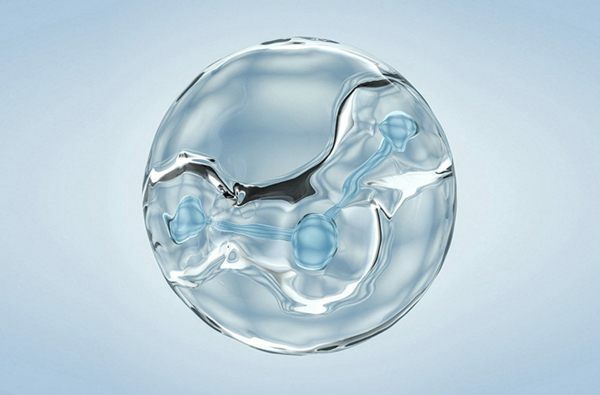 Fun fact: Hyaluronic acid can retain 1,000 times its weight in water. Its ability to bind to and absorb water is key to helping skin stay hydrated, retain its elasticity and resilience and minimize the appearance of fine lines and wrinkles. This is a key reason why the acid, a hydrating sugar, excites the skin care industry. And if its hydrating moisture-binding trait isn't impressive enough, hyaluronic acid is present naturally in the body. While you're able to produce an abundant amount of hyaluronic acid on the skin while young, unfortunately, that ability decreases upon aging, contributing to sagging, dehydrated skin, complete with lines and wrinkles. This is why incorporating products with this ingredient into your skin care routine can help you stay hydrated and avoid seeing the effects of aging as you get older. Using products rich in hyaluronic acid, like Vichy's new generation of moisturizer: Minéral 89, will help to provide your skin with a plumped, hydrated, cushioned-like look. You can also incorporate hyaluronic acid-containing creams and serums into your routine with Vichy's Aqualia hydration line. What does Hyaluronic Acid do? Called the "sponge of the skin" its primary property is that it takes up and retains water - a capacity technically-termed - hygroscopic - the ability to hold water. Just as a sponge loads up with water, Hyaluronic Acid, thanks to its specific structure, holds onto moisture to give skin its fullness. But not just a little, this sugar acid will take 1000 times its weight in water. In the average person, 15g of Hyaluronic Acid holds 15kg of the body's water. Efficient it is. Until it's not. Because, like our other natural skin secrets, collagen and elastin, the amount of Hyaluronic Acid we make declines with age. Naturally. Which is why skincare formulas with natural-origin Hyaluronic Acid come dermatologist-recommended. Beyond hydration, the ingredient is active in healing, anti-inflammation and cellular renewal. While busily storing water reserves in the dermis to prevent the epidermis drying out, Hyaluronic Acid also carries nutrients to skin cells to aid cellular renewal. At the skin's surface, Hyaluronic Acid improves the infamous barrier effect - by literally physically covering the skin cell receptors involved in inflammation. Its capacity to soothe makes it of interest in dermatology to heal post cosmetic procedures. While its other cosmetic use is as a filler injected into skin itself, to improve hydration levels deeper down to restore its natural plumpness. There's vegan, natural, naturally-derived, synthetic... the Hyaluronic Acid in skincare comes from a range of sources. When natural, it's typically sourced from plant and wheat fermentation. Plants are fermented with certain bacteria, then purified to extract the Hyaluronic Acid within, for a naturally-derived Hyaluronic Acid. The Hyaluronic Acid used in Vichy products is naturally-derived from wheat. French beauty is all about starting a skin care routine from a young age. Discover how to build a personalized morning skin care routine and layer your products like a French girl. LHA is a derivative of Salicylic Acid and helps to combat dull complexion and give skin a radiant glow. Learn how to add LHA to your skin care routine to improve your dull complexion. Top 5 Anti-Aging Ingredients: Do They Live Up to the Hype? There are many anti-aging ingredients for multiple skin concerns. Learn more about 5 anti-aging ingredients and if you need to add them to your skin care routine.